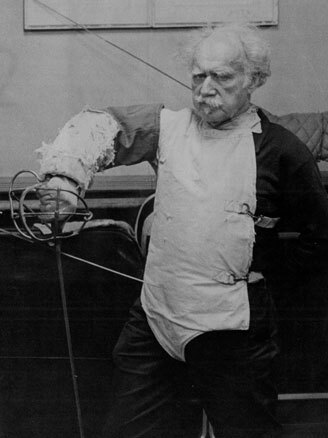 Frederick Rohdes was a Maître d’Armes (master of arms) who taught the art and science of fencing in New York City at his own academy for decades. He was one of the last fencing masters who continued to teach fencing in the old tradition. 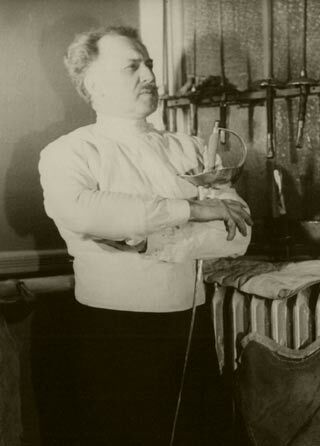 Born in 1897 in Western Prussia, he first learned fencing in his native Germany as a boy. While still in his teens, just prior to World War I, he emigrated to the United States. Rohdes taught fencing as an assistant instructor on the west coast for some time before moving to New York City. He also continued his training under several notable masters, among them Maestri Luigi Barbasetti and Aurelio Greco eventually becoming Provost and Master under Maître d‘Armes Marcel Cabijos. He was also a professional ballet dancer, having studied with the old masters including Luigi Albertieri, Mikhail Mordkin, Adolph Bolm, and Michel Fokine. He was associated with the Corps de Ballet at the Metropolitan Opera in New York as a soloist for ten years. 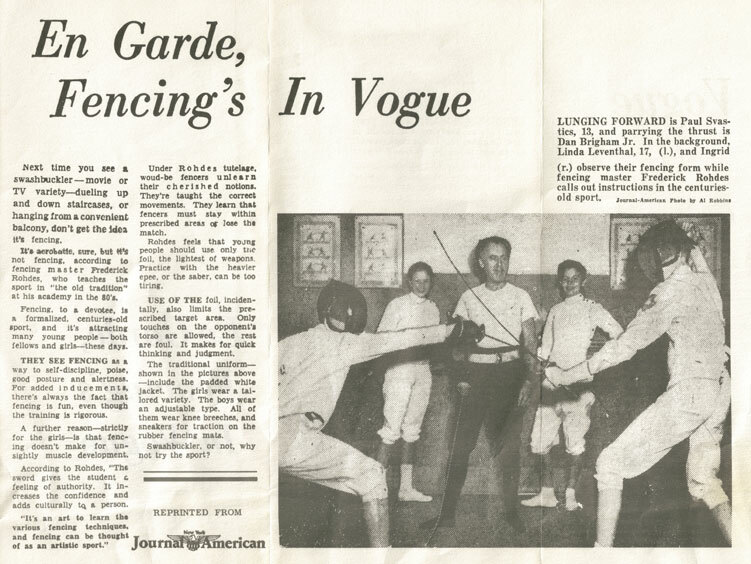 During the 1930s, Rohdes organized a fencing club at the Metropolitan Opera Company to teach members how they could stage realistic "battles" with swords. 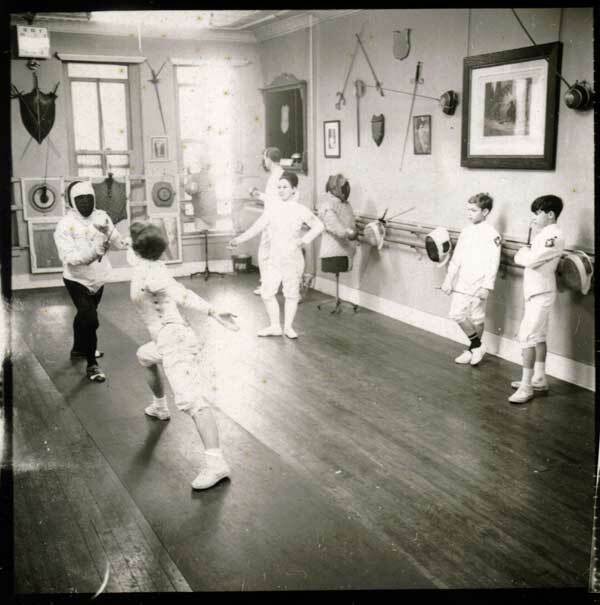 Some of the members took up fencing for the sheer love of the art that Maître Rohdes cultivated in them. 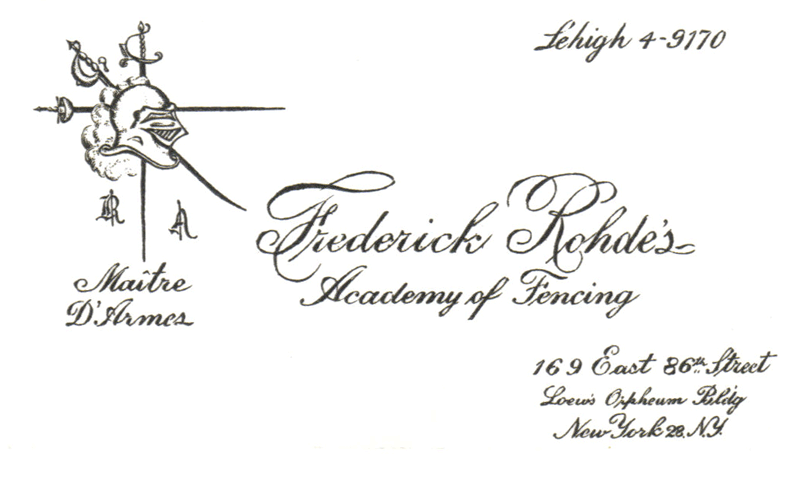 Maître Rohdes opened his own fencing academy in 1948, which was located above the Loew’s Orpheum building on 169 East 86th Street in New York City. In addition to fencing, he also taught dance, as many fencing masters of past centuries had traditionally done. At the Rohdes Academy of Fencing, classical/traditional fencing was taught in the dueling tradition of personal combat. Maître Rohdes never looked upon fencing as a sport but rather as a martial art, and the structure and method of his instruction reflected this spirit. His academy was modeled after the fencing academies of the past. As a result the Rohdes Academy was a school that was highly formal and disciplined in all of its aspects. Maître Rohdes continued to teach at his Academy until his death in early 1984.